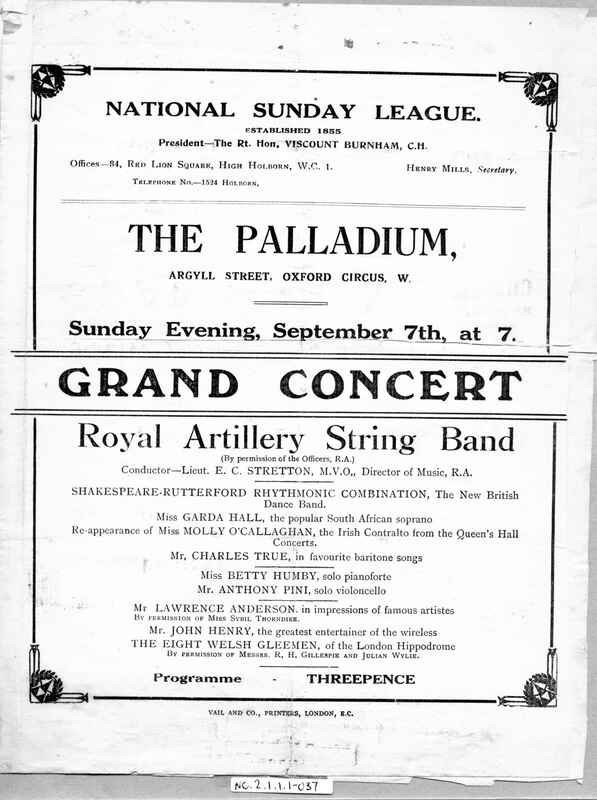 Full Description: A large programme for a National Sunday League Concert at "The Palladium", Sept 7th 1924?, featuring The Shakespeare-Rutterford Rhythmonic Combination. 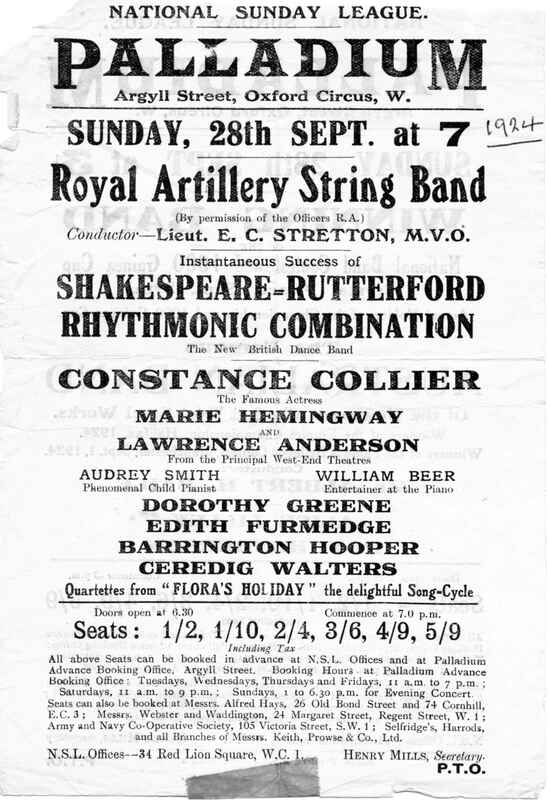 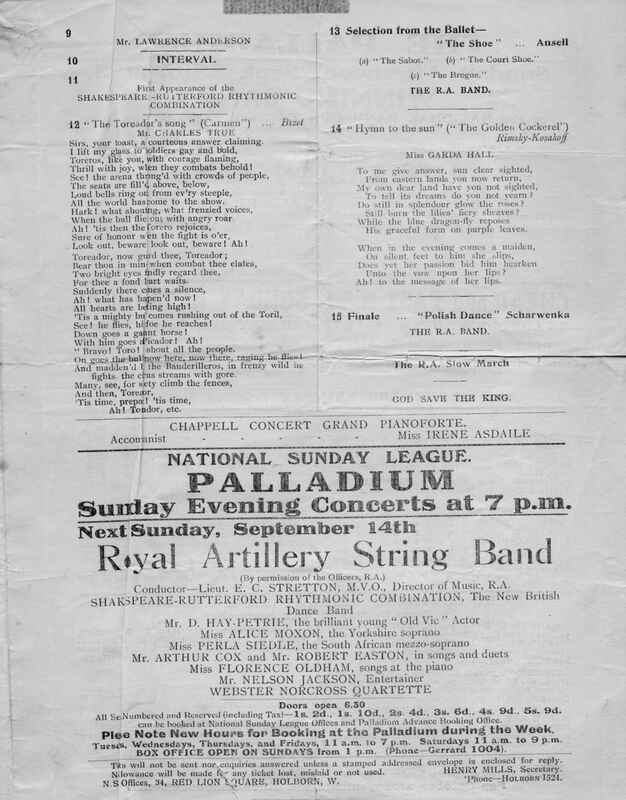 The lavish programme claims it is the "first appearance" of the band, and an additional leaflet promotes the Sunday 27th Sept 1924 appearance, also with the Rutterford Band. 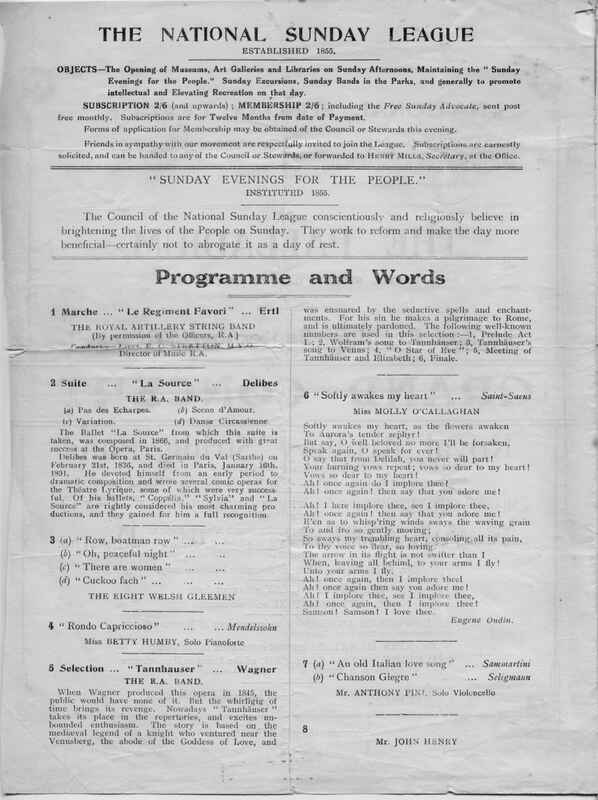 For further images and programmes of the various formats of this band, see Items NC.2.1.1.1-024 , -025, -026, -031, -037, -and -038.